Intel's statements during yesterday's Intel Investor Meeting about Microsoft's plans for the next version of Windows were factually inaccurate and unfortunately misleading. From the first demonstrations of Windows on SoC, we have been clear about our goals and have emphasized that we are at the technology demonstration stage. As such, we have no further details or information at this time. Microsoft will make a few versions of the next Windows operating system, including four versions for tablets and smartphones that use ARM chips. The ARM versions won't run old Windows software but the version for Intel chips will. Renee James, Intel's senior vice president of software, spilled the beans during a conference for investors, according to Bloomberg. James also noted that there will be at least one Intel version of Windows 8 that will address the tablet and smartphone market. It's not clear what the total number of Windows 8 versions will be, but if what Intel is saying ends up coming to pass, it already seems quite high. 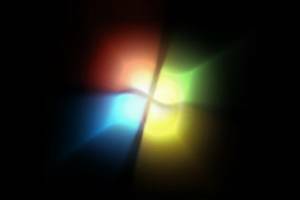 It's one thing if Windows comes in multiple editions (Windows 7 had Starter, Home Basic, Home Premium, Professional, Enterprise, and Ultimate) and a completely different one if these come in x86, x64, and ARM flavors as well, not to mention versions tailored specifically for smartphones and tablets. Oh, and don't forget Windows Phone. This could get extremely messy and could create challenges for developers when it comes to writing applications and apps for the Windows platform. We hope Microsoft clears all this up at its Professional Developers Conference this year, which is slated for September 13, 2011 to September 16, 2011, or sooner if possible. Microsoft announced earlier this year that Windows 8 will support Intel, AMD, and ARM architectures. Although a rumor suggests that Windows 8 will arrive on January 7, 2013, we expect that the operating system will ship in time for the 2012 holiday season.